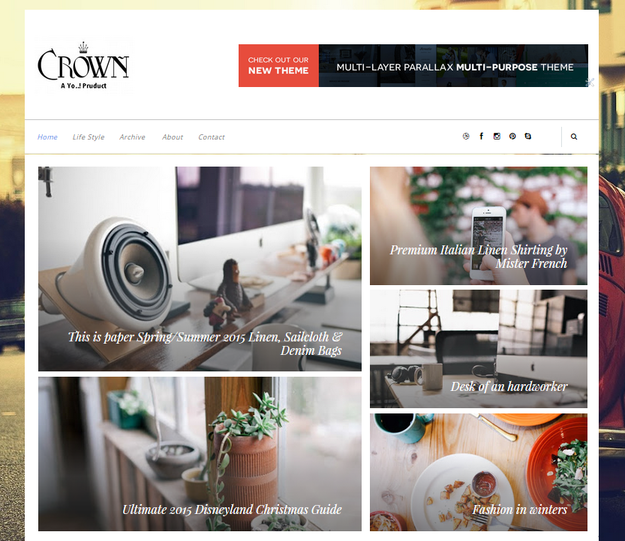 Crown Blogger Template is another blogger template in the showcase of Yo..!Templates, created for content providers, writers, bloggers, journalists and for Many other users . Crown is a clean and Light Weight design that gets rendered very quickly and it is optimized for All small Devices. We have also provided a detailed documentation file which will help you to get familiar with all the tweaks needed while installation process of this blogger theme. It is an easy-to-use blogger template, A perfect fit for Bloggers, Content Providers, Magazines etc. who need a beautiful yet powerful platform to showcase there work. Quality article in our time, a very rare phenomenon, since the first impression has become very important. In other say - its time for impressive headlines or numbers. For this reason, less and less quality content, and articles on different sites have a completely different quality. IF you have the only one question in your mindness " help me write my essay , please" it is better to rely on the experience of specialists in this field. We offer best assignment help uk likes as manage the assignments in colleges and universities. Allassignment help is number 1 assignment help services in UK.